Mr C and I have visited Mizuya many times in the last four years and I personally find it hard to choose between Wagaya or here when I feel like a nice Japanese dinner! Mainly because Wagaya has a much more variety of Western-Japanese food such as the Japanese style pasta and pizza, whereas Mizuya has the delicious Shabu Shabu and many other hotpot and kushiyaki dishes at a very reasonable price. 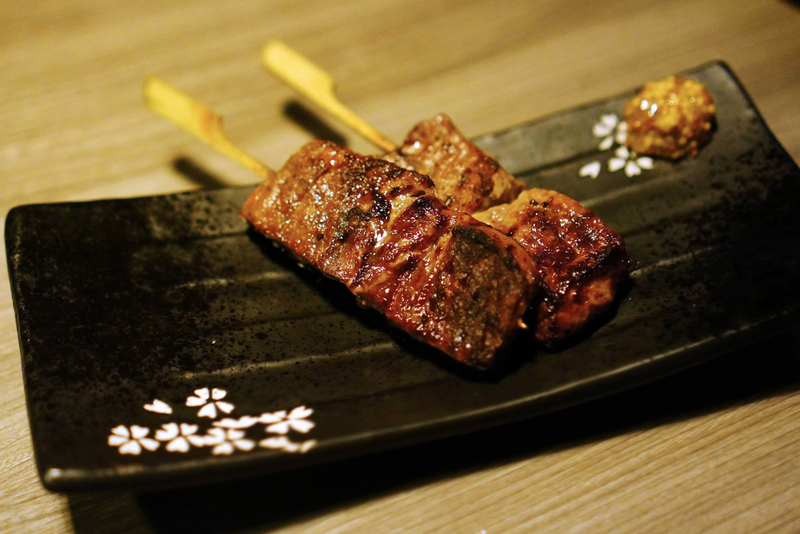 The image above is of the Marbled Beef Kushiyaki, this is one of our favourite kushiyaki dishes here simply because it’s soft, tender, melts in your mouth and it’s full of delicious smoky beef taste that gets me drooling every time. Although I’ve always wondered what the accompanying sauce was (some sort of plum sauce? 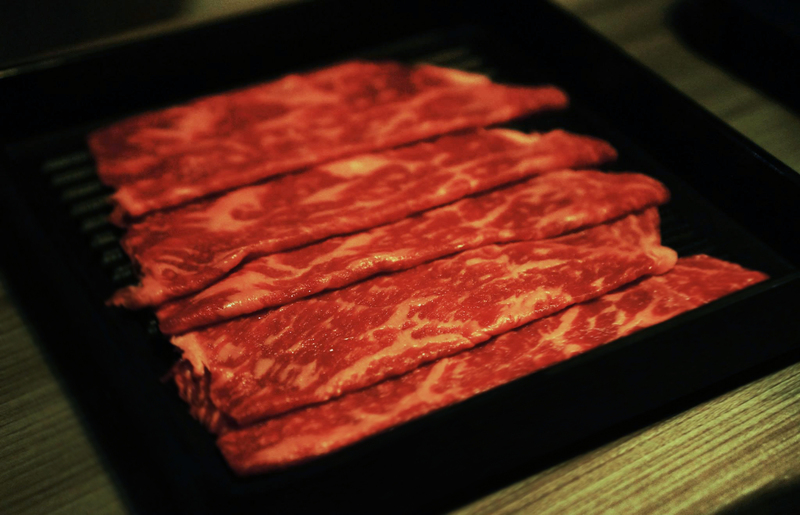 ), but nevertheless I dip my marbled beef in soy sauce and wasabi to spice it up a little. I’m pretty happy with the size that it’s delivered in for the price but being a big eater, I do wish it was slightly bigger. 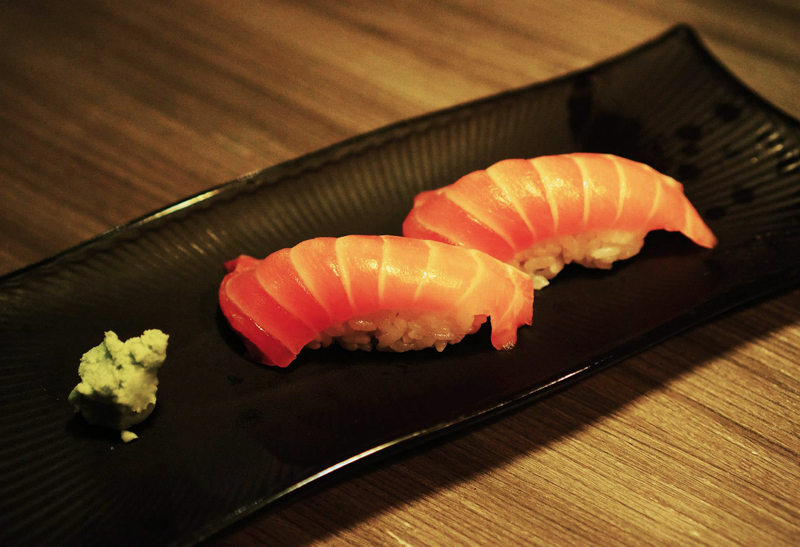 I can’t comment too much on this as I think I’ve blogged about Salmon Nigiri quite a few times already! 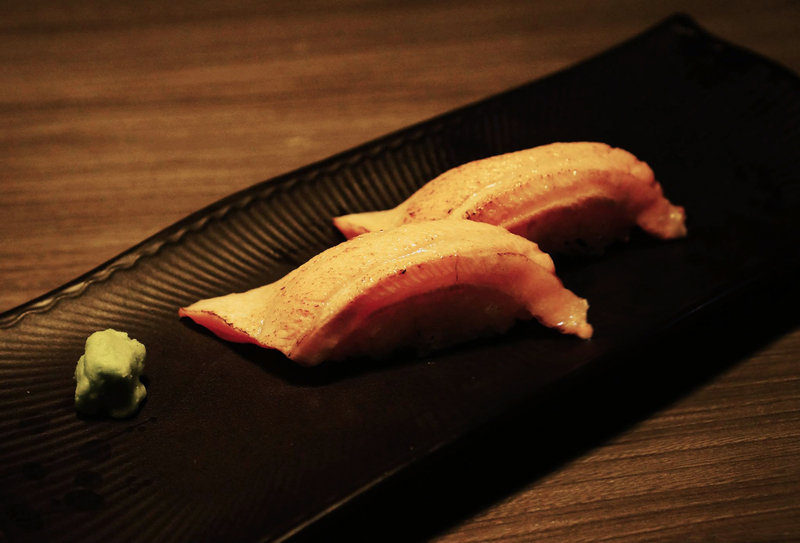 The only downside to this particular dish is that the salmon piece is quite thin in comparison to other Japanese restaurants which specialise in sushi such as Sushi Hotaru and Sushi Rio. 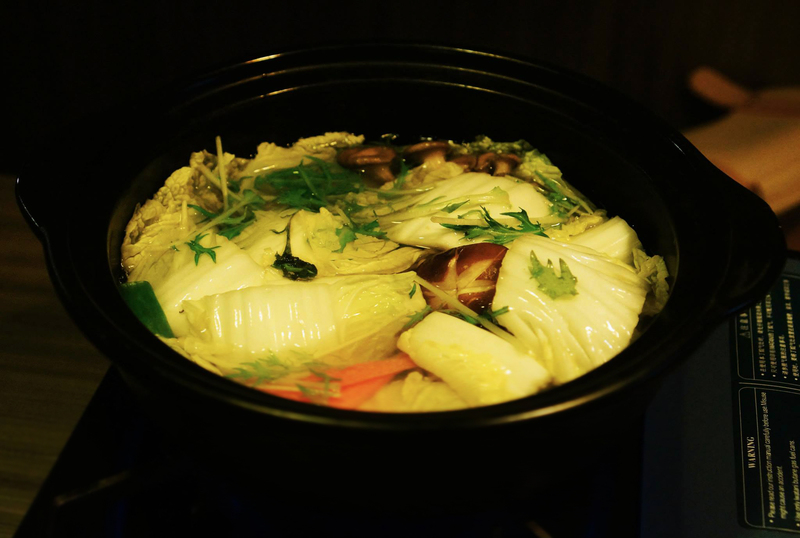 The highlight of the dinner and the reason we come back: Shabu Shabu Hotpot! I’ve been craving it all year but Mr C was never in the mood for hotpot each time I suggested it. Finally I had the say that night as I completed my mid-semester exam 😀 The set came with Wagyu beef (below), lettuce, a range of mushrooms, carrots and a small piece of Japanese vermicelli. It’s quite a healthy dish and you are not given base soup but rather just plain water to begin with. I usually would just add the Japanese Soy sauce into the water to give it a bit more taste to it. I would recommend you boil all the ingredients for a while to result in the softer texture and to let the soup begin to take in some more flavours. No matter in what Japanese restaurant you attend to eat Wagyu Beef, it will not be able to compare with Japan and how awesome the beef is over there. However due to the limitations in Australia, I would consider Mizuya’s Wagyu Beef appetising and enjoyable in relation to what you could get here. As you can see from the photo, the pieces are very red and well marbled, which I take to mean that it’s good quality beef! If you usually eat medium rare beef, make sure you don’t leave the piece in the hotpot for more than 20 seconds. It cooks very very quick! Dipping the meat with a sweet kind of ponzu sauce and sesame sauce is the best part. The five pieces of Wagyu provided may not be enough between two people, so order another set of Wagyu beef if you need to, although it’s a bit pricier. Mr C mentioned it’s probably cheaper and more value worth to order another set of Shabu Shabu instead since you also get more vegetables. Mr C wanted to order Japanese Sake for some odd reason but being a weak drinker like me, I need alcohol that’s a bit fruity to kill the strong alcohol taste. Initially I couldn’t smell the peach, however when you drink it, you can taste the peach and it does actually turn out very nice. However it was still too strong for me and I only had about 3 shots with Mr C finishing the rest for me and somehow managing to remain sober. I have only been obsessed with creme brulee for a year and Mizuya has a Green Tea flavoured one which I could not resist! Couldn’t say no to this so it was a must order. It came pretty quick so I assume it was already pre-made, waiting for a customer order so not exactly fresh. 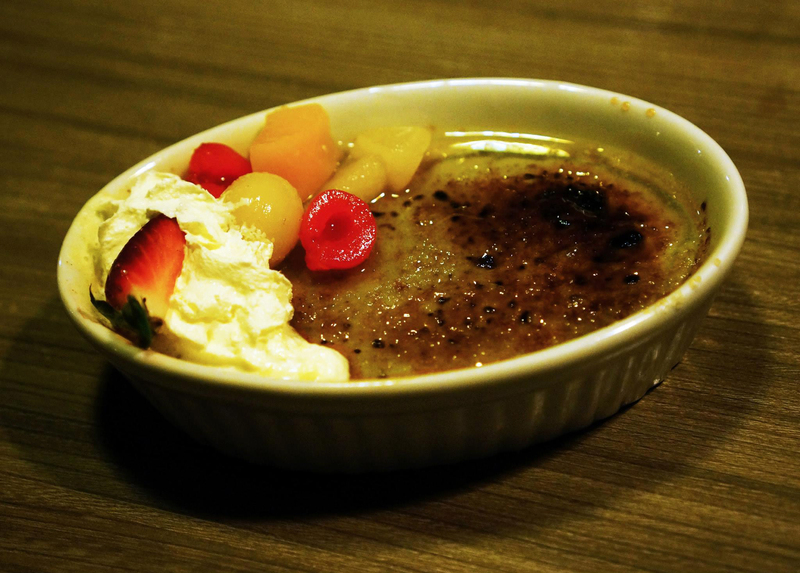 I loved the variety of fruits that was also given with the Creme Brulee and I was not disappointed with the delicious, mouthwatering top layer of toffee. The green tea was especially creamy and a very different taste to other Creme Brulee but definitely an enjoyable one. 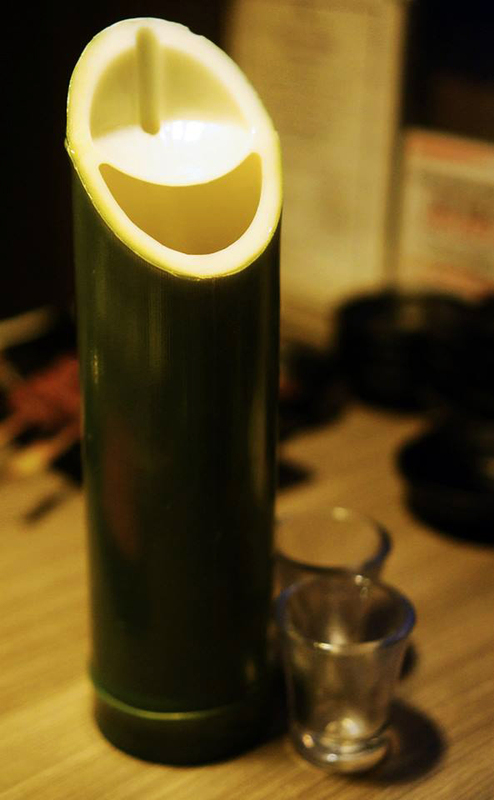 I will definitely order this again, just to satisfy both Green Tea and Creme Brulee cravings. Mizuya is an excellent place for a late night dinner or party as they’re centrally located on George street right next to Town Hall station. The restaurant also has a large karaoke area which I’ve been to and quite enjoyed the interiors as well as the choice in music, be warned though that for weekends the rooms often come with quite an expensive room hire fee.